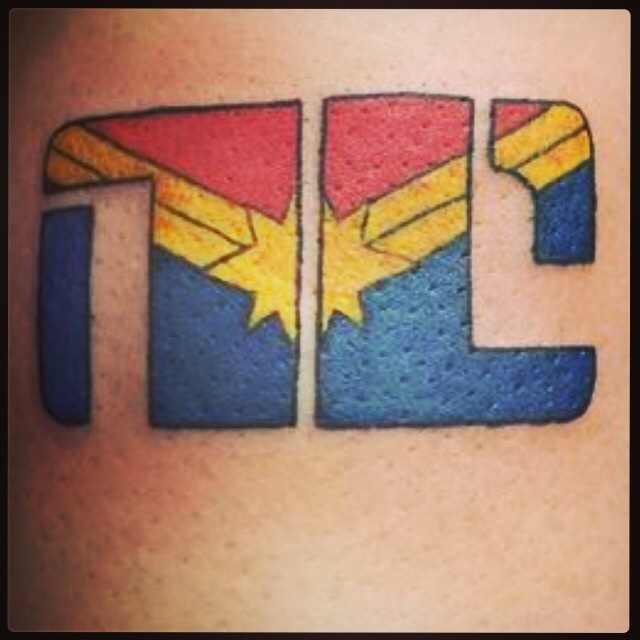 A Wonder Woman-themed NC — because, like SO many of the FIERCE broads I know and love and with whose talent and inspiration I constantly surround myself…I am a wonder, I am a woman, and, most of all, I am a SERIOUS GOTTDAMNED NON-COMPLIANT. EDITED TO ADD: It has been generously pointed out to me by my friend, Miss Cricket Lee​ — an EPIC Gamer Girl who would SERIOUSLY KNOW — that this color/design scheme is not, in fact, from Wonder Woman…but MS. MARVEL! HURRAY FOR NON-COMPLIANT SUPERPOWER PUNANIS! Thank you, Miss Cricket!